Leaving your property’s roofline unprotected can lead to many problems in the long run. Rot, leaks, damp – these are just some of the issues that can occur should the top of your home not stay well-ventilated and able to drain rainwater successfully. 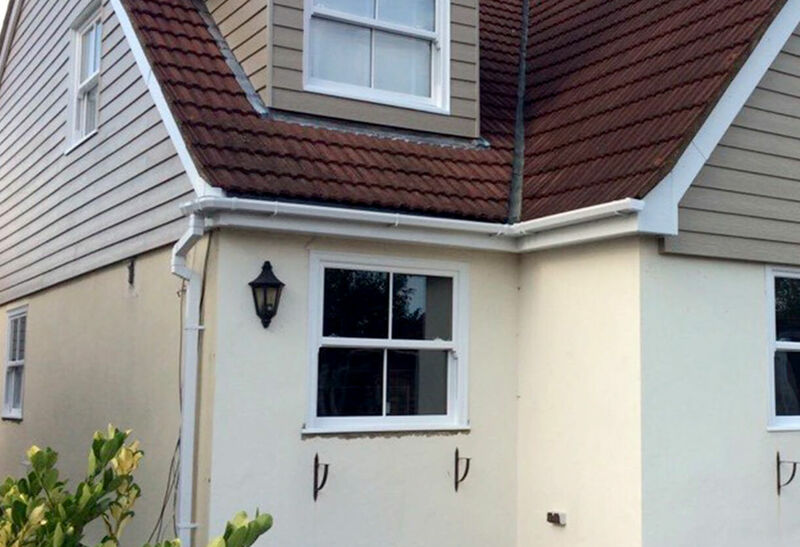 Thankfully, we offer homeowners in Essex a full range of Fascias, soffits, and guttering, all engineered in uPVC to keep your roofline fighting fit. The fascia is the mounted point where your home’s roof meets the outer walls of the house, sometimes known as the roofline. Our uPVC fascia boards run along the edge of your roof, fixing directly to the roof’s trusses, ensuring that your guttering is secure all year round. Replacing your fascia boards could potentially protect your home’s roof substantially in the long run, being able to support your guttering in the event of a heavy rain downpour. Soffits are engineered in durable uPVC, successfully working in tandem with your home’s fascia and guttering set-up. Neatly hidden under the fascia board, the soffit can allow for ventilation, so your roof area can successfully allow air to flow through it. Without them there to provide ventilation, condensation is more likely to form, eventually putting your home at risk of enduring timber decay. 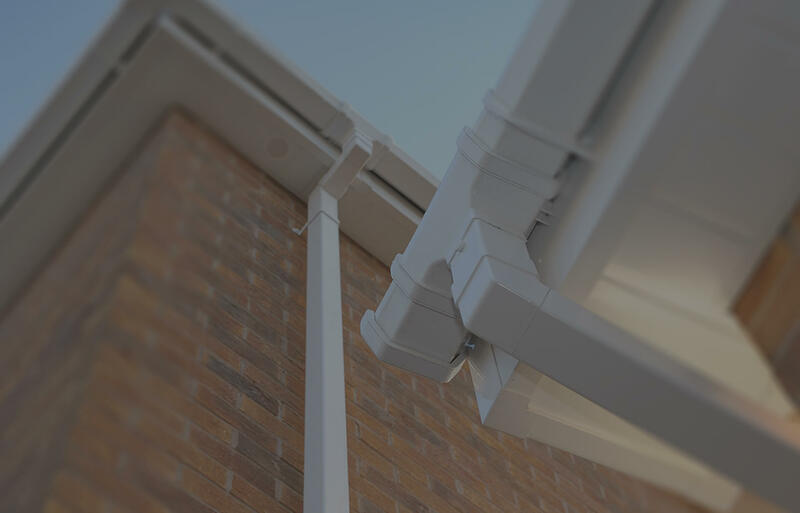 Made-to-measure using materials that have been custom cut specifically for your property’s roofline, our guttering successfully drains any unwanted water that hits the top of your home, always looking fresh and clean to maintain a tidy appearance. 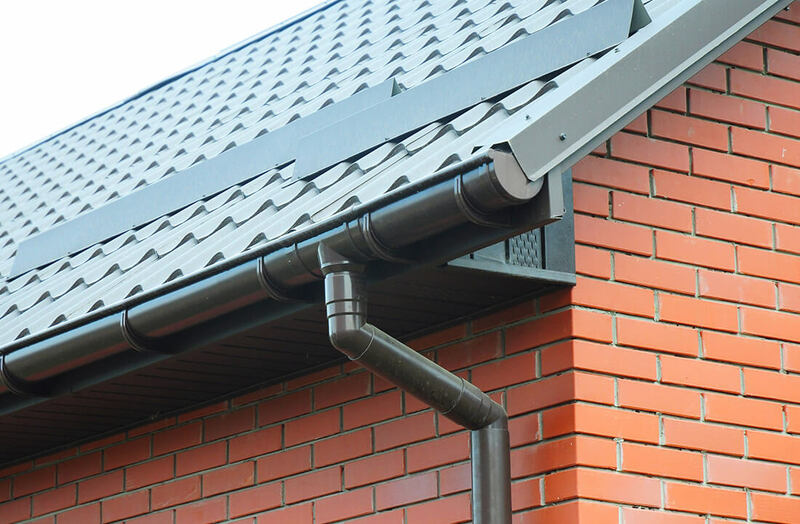 Guttering and downpipes are necessity for every home, so we make ours to always neatly tie in. Believe it or not, property issues such as rot, leaks, and damp aren’t just hazardous prospects that have lasting negative repercussions for your home. They can affect your personal welfare too! Letting mould grow within your home’s roofline can cause chest problems, allergic reactions, and can even cause asthma attacks. Avoiding this is just a simple case of ensuring that your property’s roof is functioning adequately. 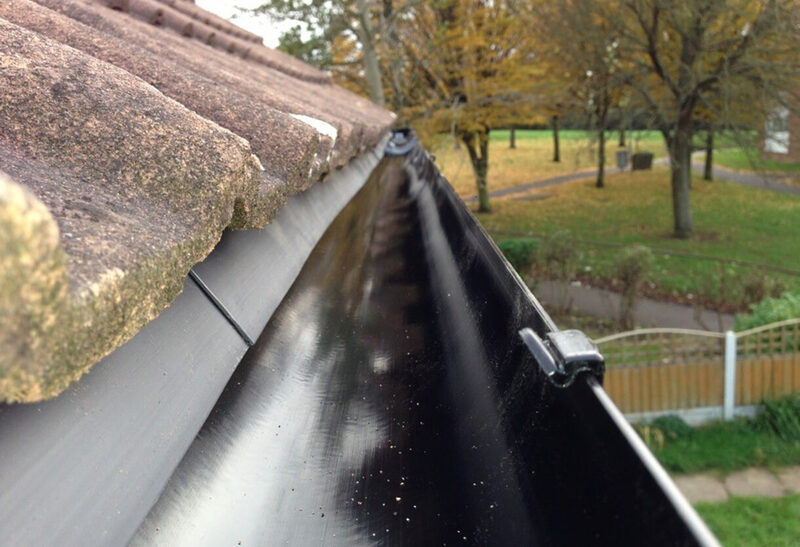 Double Glazing Essex Ltd’s many guttering solutions ensures this is always the case. Effectively protecting your home against the elements throughout the seasons, our uPVC roofline products are exceedingly low maintenance; virtually looking after themselves! Available in a range of complementary colours, impressively match your roofline to your homes exterior.